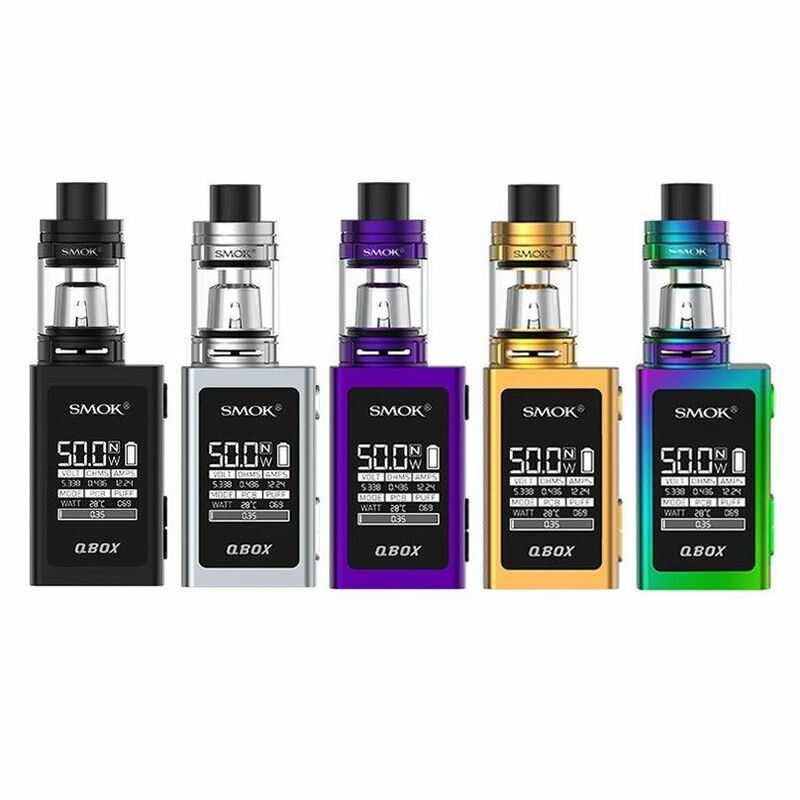 The Smok Q-Box 50W TC Starter Kit is a compact starter kit for liquids from Smok Tech that combines the massive power of the TFV8 Baby Beast Tank with a pocket-friendly 50W temperature control box mod. Smok Tech's Q-Box 50W TC Mod is a palm-sized temperature control device that comes equipped with a huge 0.96" OLED display. 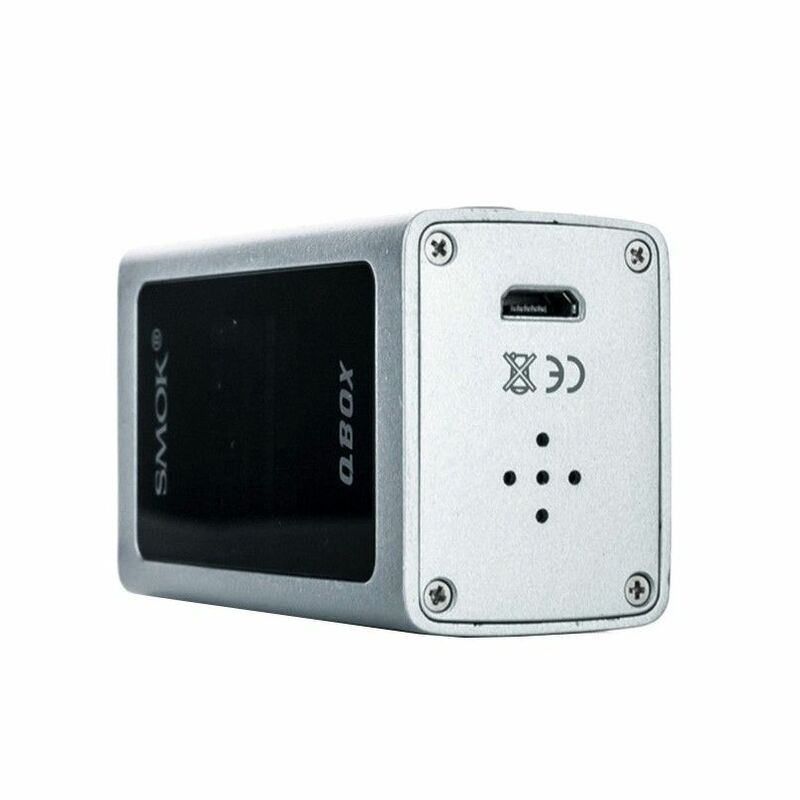 This device features a precise power output range of 1-50W with a temperature control range of 200-600°F. 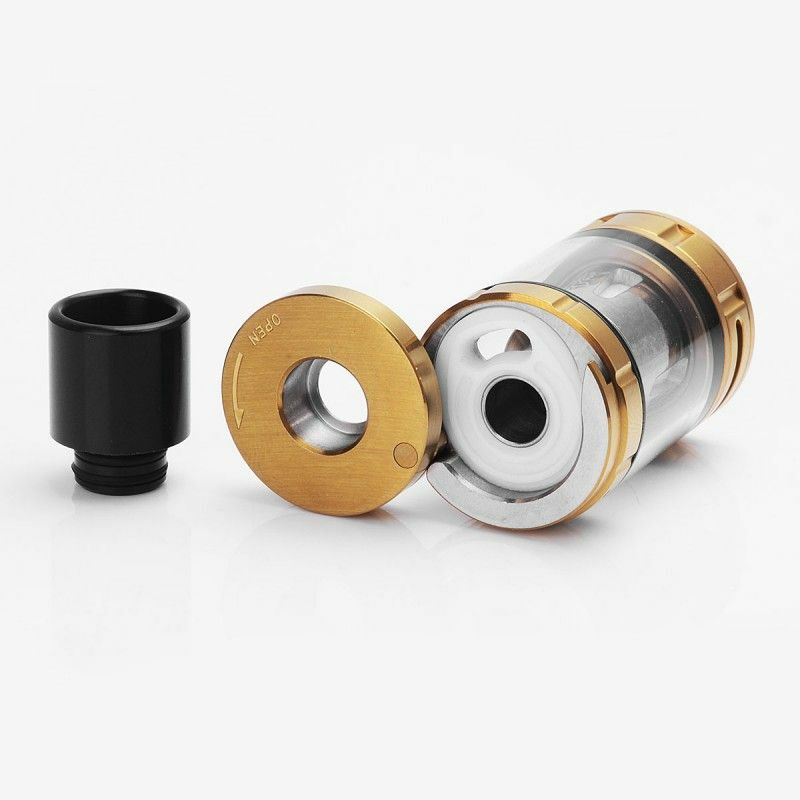 In variable wattage mode the Q-Box can support both kanthal and stainless atomizers rated within the range of 0.1-3.0Ω while in tempeature control mode it will fire nickel, titanium or stainless rated anywhere from 0.06-3.0Ω. 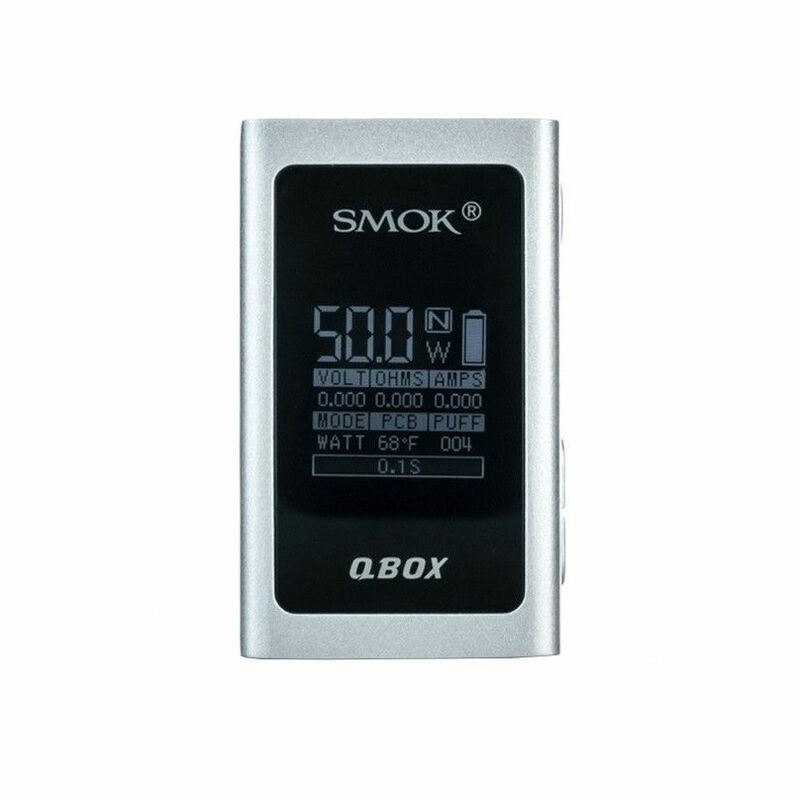 The Q-Box device from Smok Tech also features a built-in 1600mAh lithium-ion battery with a convenient micro-usb charging method that ensures you are always able to get a quick recharge no matter where you may be. A number of different protections are also implemented to safeguard from any potential risk, this includes a 12 second auto cut off feature, short-circuit, over-heat protection and much more. 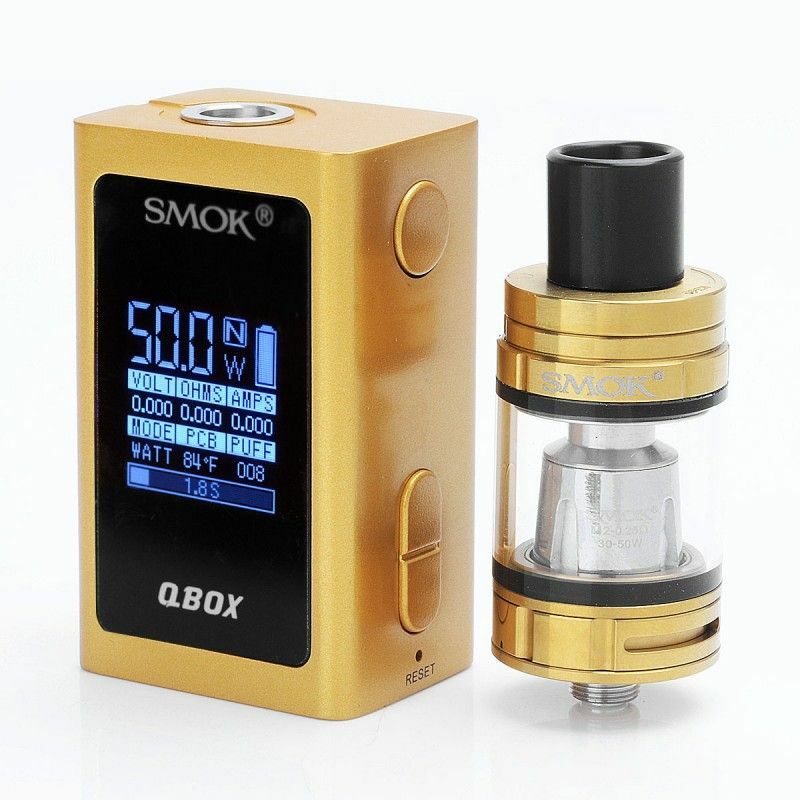 The Smok TFV8 Baby Sub Ohm Tank is the smaller, yet just as powerful version of Smok Tech's TFV8 Cloud Beast tank. This tank utilizes the massive TFV8 Baby turbo engine atomizer coils to create crazy amounts of vapor that is absolutely packed with flavor. 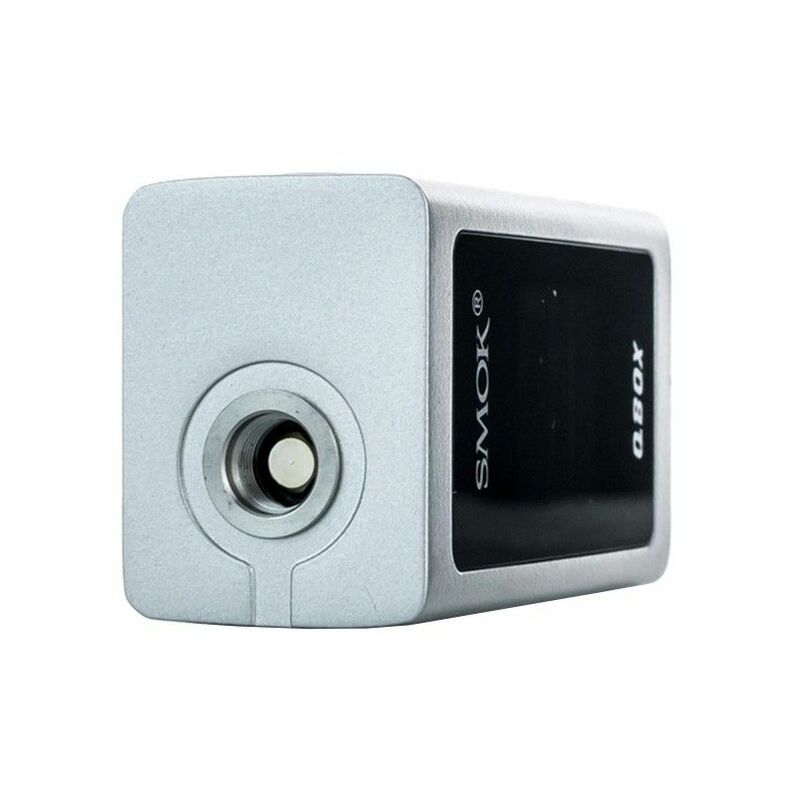 Smok manufactures the TFV8 baby atomizers in several different styles to ensure there is a coil to provide the exact results you could possibly looking for in a vape, whether it may be vapor production or flavor quality. Smok's TFV8 Baby Tank also features a 3mL tank capacity with leak-resistant top fill method, a large dual adjustable airflow control system offers full control over the quality of your vapor and an optional RBA base can be purchased separately to allow for your own custom built coils.